FORM2000’s extensive use of state-of-the-art, CNC sheet metal punching equipment, and large array of standard tooling, enables further shaping of your sheet metal component to meet the most complex configuration, working with a variety of material types, and gauges. A wider range of forming capabilities. Use of rolling tools, semi shearing and forming with far greater accuracy and speed. Handling of large size sheets. Quick and easy tool changes - using an Intelligent Turret Setup to assist with change in materials, clamp positions, tool type, angle, size and location. 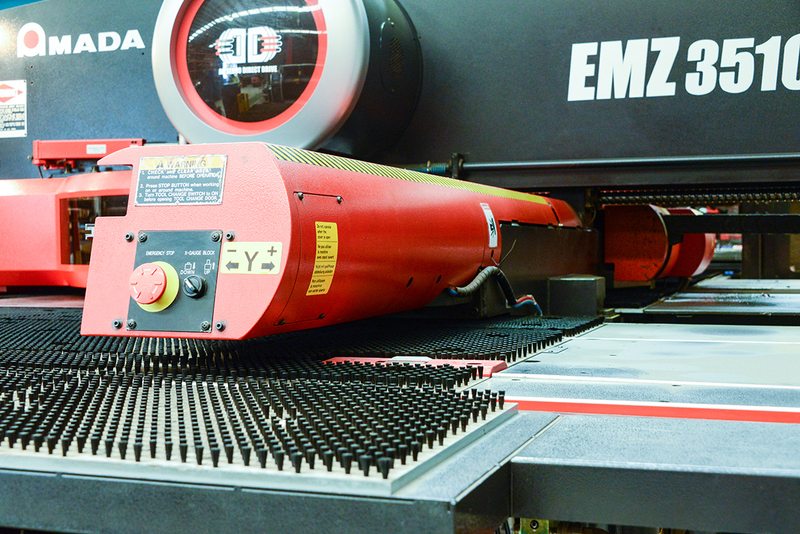 Our machines are equipped with a high capacity tool rack and automatic tool changer. In-turret thread tapping also reduces potentially costly manual downstream processes.